To use services on this web site you should enable java script in your browser. These Terms and Conditions ("Terms", "Terms and Conditions") govern your relationship with https://www.pipeflowcalculations.com website (the "Service") operated by Pipe Flow Calculators ("us", "we", or "our"). Some parts of the Service are billed on a subscription basis ("Subscription(s)"). You will not be billed in advance on a recurring and periodic basis ("Billing Cycle"). Billing cycles are set either on a 3-day, monthly or annual basis, depending on the type of subscription plan you select when purchasing a Subscription. At the end of each Billing Cycle, your Subscription will not automatically renew. A valid payment method, including credit card or PayPal, is required to process the payment for your Subscription. Pipe Flow Calculators, in its sole discretion and at any time, may modify the Subscription fees for the Subscriptions. Any Subscription fee change will become effective at the end of the then-current Billing Cycle. Pipe Flow Calculators will provide you with a reasonable prior notice of any change in Subscription fees to give you an opportunity to terminate your Subscription before such change becomes effective. Certain refund requests for Subscriptions may be considered by Pipe Flow Calculators on a case-by-case basis and granted in sole discretion of Pipe Flow Calculators. 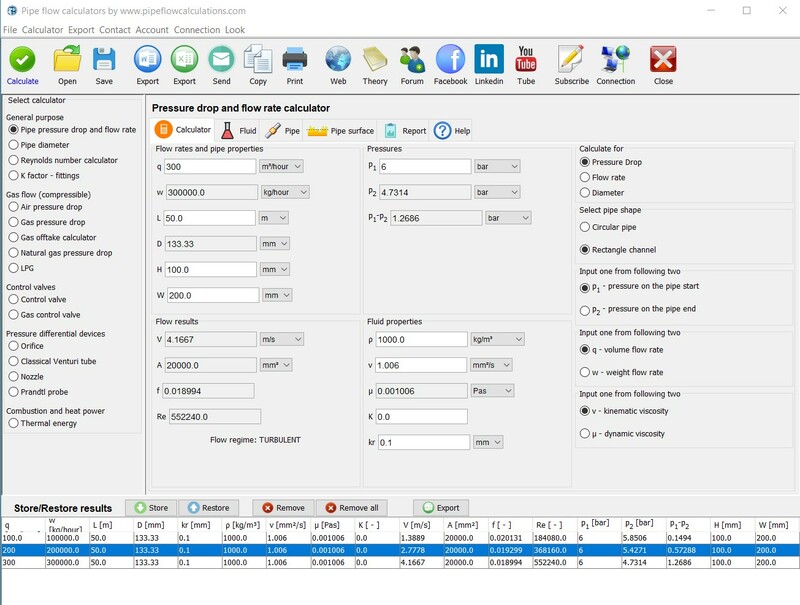 The Service and its original content, features and functionality are and will remain the exclusive property of Pipe Flow Calculators and its licensors. The Service is protected by copyright, trademark, and other laws of both the Serbia and foreign countries. Our trademarks and trade dress may not be used in connection with any product or service without the prior written consent of Pipe Flow Calculators. Our Service may contain links to third-party web sites or services that are not owned or controlled by Pipe Flow Calculators. Pipe Flow Calculators has no control over, and assumes no responsibility for, the content, privacy policies, or practices of any third party web sites or services. You further acknowledge and agree that Pipe Flow Calculators shall not be responsible or liable, directly or indirectly, for any damage or loss caused or alleged to be caused by or in connection with use of or reliance on any such content, goods or services available on or through any such web sites or services. In no event shall Pipe Flow Calculators, nor its directors, employees, partners, agents, suppliers, or affiliates, be liable for any indirect, incidental, special, consequential or punitive damages, including without limitation, loss of profits, data, use, goodwill, or other intangible losses, resulting from (i) your access to or use of or inability to access or use the Service; (ii) any conduct or content of any third party on the Service; (iii) any content obtained from the Service; and (iv) unauthorized access, use or alteration of your transmissions or content, whether based on warranty, contract, tort (including negligence) or any other legal theory, whether or not we have been informed of the possibility of such damage, and even if a remedy set forth herein is found to have failed of its essential purpose. Pipe Flow Calculators its subsidiaries, affiliates, and its licensors do not warrant that a) the Service will function uninterrupted, secure or available at any particular time or location; b) any errors or defects will be corrected; c) the Service is free of viruses or other harmful components; or d) the results of using the Service will meet your requirements.